Hire a local Baltimore student from a historically black college or university for a summer internship through KPMG’s Corporate Management Intern (CMI) program, which provides diverse students with professional development experience. Year One Progress: Hired three local CMI interns for our summer internship program. We also sponsor an intern from Cristo Rey Jesuit High School throughout the school year. Year Two Progress: Hired two interns through our CMI program (now called the Embark program, intended for underrepresented minorities). We also continued to have the intern from Cristo Rey. In 2018, we intend to have three interns through the Embark program and we plan to continue with the Cristo Rey intern. Mentor approximately 15 Baltimore City middle school students for the 2016–17 school year in partnership with Big Brothers Big Sisters’ Beyond School Walls program. Year One Progress: Continuing to consider a mentoring opportunity with Big Brothers Big Sisters’ Beyond School Walls program for the 2017–18 school year. Year Two Progress: Reviewing options to participate in other mentorship programs. Increase local catering spend by 25% with the goal of reaching 100% of catering spend with local and minority- or women-owned vendors through CY 2016. Year One Progress: Increased local catering spend by 69 percent, or $10,298, in CY 2016 with local and minority- or women-owned vendors. Year Two Progress: Maintained higher level of catering spend with local vendors in 2017. Increased local catering spend by 18 percent, or $6,153.56, in CY 2017 with local and minority-or women-owned vendors. 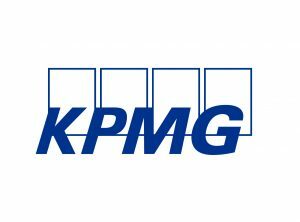 Offer $2,500 of financial support and 40 hours of KPMG professionals’ time to provide assistance on business issues such as tax planning to City Seeds, a Humanim social enterprise. Year One Progress: Provided $2,500 of financial support to Humanim in 2016 and intend to do the same in 2017. Also provided over 100 hours of assistance on business issues. Year Two Progress: Provided $2,500 of financial support and over 100 hours of professionals’ time to the Humanim City Seeds project. Year One Progress: Continuing to consider this financial investment with Big Brothers Big Sisters’ Beyond School Walls program for the 2017–18 school year. Year Two Progress: Explored making financial commitment to mentoring programs in Baltimore. KPMG LLP’s Baltimore office opened its doors in 1948. Over the years, we have served many of the organizations that constitute the foundation of Baltimore business. We currently have about 175 professionals, including 16 partners and managing directors, and rank among the most respected and established professional services firms in the area. Our mission is to turn knowledge into value for the benefit of our member firms’ clients, people, and the Baltimore community by providing our clients access to global support, industry insights, and a multidisciplinary range of professional services. At KPMG, corporate citizenship and diversity and inclusion are pillars of our corporate responsibility initiatives. Our corporate responsibility efforts focus on youth and education and sustaining our communities through workforce readiness. For more than 65 years, partners and professionals in our Baltimore office have devoted their time and resources to supporting local organizations and initiatives that have a profound impact on the community.